BarCampApache will take place the day prior to ApacheCon Core. Join us for an ‘unconference’ with no set schedule, facilitated by those involved in various Apache projects. 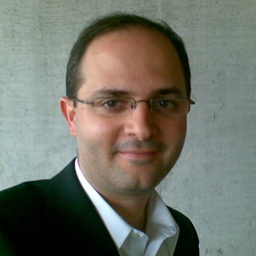 In his keynote, Serge Huber will provide a brief introduction to Apache Unomi, a new Apache project in incubation. Unomi is a prototype reference implementation of the OASIS Context Server specification currently being worked on by the OASIS Context Server Technical Committee. This new server provides an ethical WEM platform that provides real-time user profile and event storage as well as a rule engine and fully featured REST+JSON interfaces which make integration with Big Data systems easier. For 15 years, the Apache Software Foundation has been quietly developing the software that powers the Internet, from the Apache Web Server to Hadoop to Lucene to Cordova to OpenOffice - 165 project in all - Apache is home to some of the most important Open Source projects. Behind this is a passionately-held set of beliefs about how Open Source community should be done. Because it's all about the community. Our motto - "Community > Code" - is more than just a clever slogan. It's how we make every decision. Come learn about the Apache Way, why we think this kind of thing matters, and a little bit about the Foundation that we've built. Rich is the Executive Vice President of the ASF, serves on the board, has been a member for 13 years, and has been involved with ApacheCon for most of that time. Following on from last year's early preview of Tomcat 9, this presentation will provide an update on the Tomcat 9 implementation of the next versions of the JavaEE specifications that most impact Tomcat (Servlet, JSP, EL and WebSocket). There will be a particular focus on the progress of HTTP/2 support. The results of the GSoC project to add JASPIC support will also be reviewed. The internal refactoring planned for Tomcat 9 is complete. Mark will review the reasoning behind these changes and discuss some of the lessons learned. The refactoring has resulted in some noteable changes to configuration - particularly SSL since Tomcat 9 adds SNI support to all three HTTP connector implementations. Mark will discuss these configuration changes and how they will affect migration from earlier Tomcat versions to Tomcat 9. Finally, Mark will outline the roadmap to a stable Tomcat 9 release. While IBM is calling Apache Spark "potentially the most significant Open Source project of the next decade" and internet is still running mostly on Apache httpd the most important project in the foundation could very well be Apache Incubator. After all, without Incubator there will be no exciting new projects joining the foundation and turning into the next Spark or Hadoop. This presentation will cover the old school Incubator polices and will point out how they are changing and what new alternatives are now available for poddling communities. It will also focus on areas where we are still experimenting with the process, how it relates to the ASF board of directors and how you can help speed things up. Finally, a few battle stories will be shared and wounds put on display. This former VP of Incubator has a few to show. Apache OFBiz is an open source product for the automation of enterprise processes that includes framework components and business applications for ERP (Enterprise Resource Planning) systems. This talk will provide an introduction to OFBiz, its history and its community. It will also summarize the main areas of recent developments, where the project stands today and where it is going. Christian Amend is a developer working for SAP in Germany. He has been working with the Apache Olingo project since it started in 2013. He is currently the VP of Apache Olingo and has mentored a Student for the Google Summer of Code 2015. An overview of the introduction of the ODF standard and Apache OpenOffice in an Italian public administration with more than 3000 users. - an extension to simplify choosing the right format for document exchange, in relation to our ODF census project in Italy. This talk presents the organization and structure of the ASF as well as its basic principles of operation. Home to more than 150 open source projects, including some world-impacting ones, the ASF operates on surprisingly simple principles and values, and has proven itself over more than 15 years as an open organization that consistently releases high quality source code. We will describe the basic principles that enable the foundation's projects to operate in a neutral and open way, where contributors are empowered based on meritocratic principles instead of hierarchical or pay-to-play processes. This talk will help you understand why some of the largest software companies collaborate with their competitors within Apache on critical parts of their software infrastructure and products, instead of doing things in their own corners - and greatly benefit from it. On 3/6/15 the Apache Flex team has done its first release of BlazeDS. BlazeDS is a server-side framework for communicating with clients using the AMF protocol. In contrast to JSON communication AMF is strongly typed, highly efficient and even allows the transport of cyclic object graphs. It was initially designed for communicating with Flash runtimes (similar to Browsers JSON support, AMF is the Flash VMs native format), but in the meanwhile libraries in all major languages are able to communicate using AMF. In this Talk I would like to talk about AMF and it's benefits over more established protocols and demonstrate how easy it is to embed BlazeDS into an existing Java server application, giving you publish-subscribe, one-to-one and one-to-many communication for free. The Apache HTTP Server module configuration API is challenge even for seasoned httpd developers. Per-server and per-directory configuration scopes, merging of configuration sections, optimizations to survive complex configurations, and configuration directive handling are all challenges to the beginning and even an adept Apache module author. Join us as we unwind this complexity for the new module author or existing module hacker and offer best practices, promote more robust module configuration, and allow for easier introduction of new features with less code. Apache Brooklyn (incubating) can be described using phrases like "automated management of cloud applications" and "simplified deployment and runtime management of enterprise-grade applications", but soundbites like those only scratch the surface of what Brooklyn can do. In this presentation, Richard Downer will show what Brooklyn is, how it can help you, how to develop with it, and invite you to join the Apache Brooklyn community. Afterwards, whenever you see the tagline "application modelling, monitoring and management", you'll realise that's *WAY* cooler than it sounds. By combining a number of open source tools and connect them with Apache OFBiz, a platform was created to handle all operations in a software development company. GrowERP is an open source OFBiz component only showing a limited functionality of OFBiz using the standard database to be able to upgrade to the full system anytime without data conversion. Currently most open source companies are small and Apache OFBiz is just too big for them. This combined with an open source OFBiz Scrum component, Jenkins, Git/Gerrit you have the complete platform for organizing a vendor branch of the product you represent, a staging environment updated daily and a fully automated production deployment. Methodologies supported are Scrum/Kanban with time registration and accounting with automated invoicing including full ledger capability. Nowadays most components of a full identity infrastructure are available as Open Source components - and some even within The ASF: identity repositories, provisioning engines, access management systems. Picking these bricks to realize a solution that will suit the wide-range ever-changing organizations' needs is a real challenge for all system integrators in the Identity & Access Management area. Some real-word use cases and scenarios will be reviewed in this presentation to highlight strengths, flexibility and benefits - but also wicked problems and possible improvements - that Open Source Identity infrastructures can provide to organizations and final users. OpenOffice started it all, but the ODF standard has now outgrown its original implementation. ODF is now supported by many desktop implementations, some of which completely unrelated to the OpenOffice codebase, by cloud products, mobile applications and converters. How relevant is OpenOffice to ODF these days? And what's the real state of health of the major implementations and their level of compatibility? So, your business has already opened sourced some of its code? Great! Or you're thinking about it? That's fine! But now, someone's asking you about giving it to these Apache people? What's up with that, and why isn't just being open source enough? While almost everyone has finally moved off of httpd 1.3, lots of people are still using 2.0 or 2.2, and many of those that are on 2.4 are using it as though they're still on 1.3. It's like your driving your Ferrari in first gear. With the brakes on. Apache HTTPd 2.4 is lightyears ahead of what went before, and if you're not using the new functionality, you might as well be using nginx. Come earn about conditional configuration, the event MPM, magical proxy configuration, the general purpose expression parser, and so much more. If you've ever seen Shark Tank TV show contestants pitch their business ideas to the panel of shark investors you know what to expect here (and if you haven't -- think speed dating between entrepreneurs and investors). The only difference between us and that TV show is that instead of “Squirrel Boss” and “Man Candle” you'll be hearing pitches for Apache Incubator poddlings. Also instead of Mark Cuban and Kevin O'Leary you'll be pitching to the panel of ASF grey beards. So it is more like two differences, not one, but ok: the fun and profit part of Shark Tank will be there. We guarantee that! In this talk Matteo Rulli presents two different ways of integrating Java Persistence APIs and OSGi: the first one is through Apache Aries and OpenJPA while the latter is based on OPS4J PAX JDBC project. Both approaches are a good way to appreciate the OSGi maturity and elegance and to analyze modularity best practices. The talk also demonstrates how to exploit Apache Karaf to create a development environment for JPA projects in bndtools toolchain. Phone calls are still the most popular method for communicating with organisations and one of the most common CRM processes involves manually entering the call details. Imagine being able to connect a CRM to your company's PBX system. *All incoming calls could be automatically recorded as a communication event and linked to the correct customer, supplier, etc. In this presentation we show you how to setup Call Center Integration with Apache OFBiz CRM using Asterisk, one of the most popular PBX systems. Successful Web applications get deployed in multiple different scenarios. In the large-scale setups, user identities can no longer be expected to be stored primarily in htpasswd files or even in local relational database. Instead, users from remote directory servers and identity management systems like FreeIPA or Active Directory and users authenticated and authorized via SAML can access the application. Admins then search for ways to support these external identities in their organizations or across organizations even if the application that they deploy has no or limited support for non-local users. We will look at setups using Apache HTTP Server modules mod_authnz_pam and mod_auth_mellon and explore how they can be configured to offload authentication and authorization decisions to external identity sources, often even not centralized ones. Successfully running an open source software project involves more than just posting source code in a public Github. It involves balancing numerous interrelated engineering, business, and legal decisions. We share our experience in supporting a dozen open source communities including Cloud Foundry, Spring, RabbitMQ, Redis, and our recent experience with launching the Apache Geode (incubating) community based on 1 million lines of code from Pivotal GemFire. These communities and their products have highly varied histories, licensing, and governance models. Specifically we will cover: reasons to open source a commercial product; business and legal choices in licensing, governance and ownership; engineering choices of OSS components & readying code; executing the switch to open source; our experience from commercially supported OSS to stand alone foundations to joining The ASF. Associate General Counsel - Strategic IP, Pivotal Software, Inc. This morning, you hopefully heard all about the Apache Way, and it sounded great! Sadly, however, from time to time it doesn't quite go completely to plan... Come hear about some of the problems we've faced with the Apache Way, and the ways we've tried to solve them. Panel discussion with Rich Bowen, Bertrand Delacretaz, Roman Shaposhnik, and Nick Burch. Building mobile apps are time consuming, especially if you want to target both iOS and Android users. Apache Flex goes more than that, you can build Web, Desktop, iOS and Android apps all in one codebase. This talk will go over the basics of building rich, interactive, cross-platform applications that is easy to build and maintain. There is no need to first release an iOS app and add a note saying "Android app coming soon". Build it all once and deploy everywhere at the same time! Om ‘bigosmallm’ Muppirala is a UI architect with years of experience building HTML/JS and Flex based applications. Om has a Masters degree in CS with a specialization in Computer Graphics and User Interface design. Tomcat provides a cluster feature. However, Some of the cluster components will depend on each other. And it confuses developers. In this session, you'll be able to learn a Tomcat cluster correctly in detail. And, it will enable you to configure the optimal Tomcat Cluster. Keiichi Fujino has more than 10 years experience in software engineer. | He has been an active member in the Apache Tomcat community more than 5 years. | He is an Apache Tomcat commiter and Tomcat PMC. | He has attended and spoken at several previous ApacheCon. Johnzon is the Apache implementation for JSR 353 (JSONP) and currently under incubation. But wait, Johnzon is more than that. It's also JSON Java Mapper with full data binding and a JAX-RS provider. the features and the outlook. We'll also look on performance aspects and benchmarks against other JSON libraries. The outlook will focus especially on JSR 367 (JSON Binding) and JSR 374 (Update of JSR 353) because both specs will be implemented into Johnzon and Hendrik is a member of both expert groups and can give some insights on that. A look at three competing OSGi ecosystems (Declarative Services, Blueprint, CDI). like Aries JPA 2 featuring closure based transactions, JAAS Security, JSP and JSF on OSGi. Attendees will get a good overview about the stacks as well as recommendations where each is most applicable. Apache OFBiz is an open source product for the automation of enterprise processes that includes framework components and business applications for ERP (Enterprise Resource Planning) systems. The OFBiz framework can be used separately to build your own applications. This presentation will go through a live example showing how to create a new web application using Apache OFBiz. This will be an interactive session starting with the most basic steps ,where we will use best practice to create a simple solution using existing OFBiz components. The goal of this presentation is to show how Apache OFBiz provides a great starting point to create your own enterprise solution...easily. Wondering what to do about the new BestHadoopNews.com website? Don't know how to approach your employer's plans to launch BigCo's SuperLucene product? Need help keeping your Apache project moving in the right direction in the face of corporate raiders? Brand policing and dealing with third parties improperly using your Apache project's brands is a difficult topic to raise. Find out about the existing PMC Branding Reporting Guidelines, and have a chance to ask the expert questions on how to approach third parties. Learn about the kinds of uses of Apache project brands that are OK or are nominative use, and the ones by hungry companies that can take control of the project away from the PMC. The strong independent reputation of your project and Apache overall relies on every PMC policing their own brand effectively and fairly. Get help here! In this presentation, we will see cover the basics of FlexJS, see how to build reusable components (ala WebComponents), use classic design patterns, skinning etc. Frontera: Open Source, Large Scale Web Crawling Framework - Alexander Sibiryakov, Scrapinghub Ltd. Along with framework description he'll demonstrate how to build a distributed crawler using Scrapy, Apache Kafka and HBase, and hopefully present some statistics of Spanish internet collected with newly built crawler. Core developer of web crawling framework Frontera at Scrapinghub Ltd. A performance geek, data scientist and ex-Yandex engineer (search quality department). Presenting at Berlin Buzzwords and Yandex local events. In April 2015, Apache Geode (incubating) was born from Pivotal’s GemFire, the distributed in-memory database. However, the donation of over 1M LOC was just the beginning of the journey. In this talk we discuss how the GemFire engineering team has adapted their development infrastructure, processes, and culture to embrace the “Apache Way". We present lessons learned and best practices for new and incubating open source projects in areas of initial code submission, IP clearance, governance policies, code review, and community building. We discuss the challenges the team faced and how we changed internal communication and software design processes to a community-driven model. In particular, we highlight effective strategies for growing a project community and embracing new members. Finally, we show how changing to the open source model has increased both productivity and quality. Combining the described portability with dynamical deployed software modules allows not only the composition of re-configurable systems in heterogeneous environments. It also eases the automatic replacement of failing components resulting in self-healable systems. Working with any large IT project, you need to have good organisation, methods and infrastructure as well as manage all your stakeholders and keep them working well together. With Apache OFBiz, all the same rules apply. How can you configure Git/Svn, Jenkins and Docker to create an internal workflow capable of keeping multiple developers, system testers and other IT operations working in harmony together without any problems? What about managing automated deployments with tests, such as regression and non-regression control? In this presentation we will give you the answers to these question and show you what has been implemented for a French eCommerce company to improve our internal DevOps. We will also take you through some tips and tricks that we use to make the flows simpler and easier to maintain. Developer and then System Administrator for a French eCommerce Company, I have worked on setting up and configuring the main development IT infrastructure. As part of general operations I also helped design the internal software development flow. Asking developers about their views on software quality generates a combinatorial explosion of axes on which quality can be measured. Is it clean code? Performance? Testability? Modularity? Transparency? What's software transparency by the way? Software quality is an endless quest. Some teams are known to be helpless when it comes to producing good software, while others, particularly in open organizations that bring different people together, consistently produce software of an extremely high quality. Is it a cultural thing, and if it is, how can we influence our teams quality culture? Reflecting on the axes on which one can measure quality, and how they translate into software design and implementation, will help us ask the right questions when reviewing our software and when discussing software quality with our teams. We won't have all answers...just questions, but those will help! This BOF is for those interested in discussing ways of improving the auto generation of accurate machine readable copyright and licensing information used in the supply chain. A brief presentation of the tools that are available (and in some cases emerging) will be given at the start to set the context, but the goal here is to explore what makes sense to integrate into Apache projects so the key information is easily checkable by automation, and be able to quickly and accurately summarize to those that use the projects. Hi. I'm new here. Sort of. I've been using Apache Software Foundation software for greater than a decade and a half. I've been a committer to Apache CouchDB for a couple years now and actively involved in that community for greater than six year. I still get lost "inside" the ASF. There are immense amounts of data, conversations, content, projects, web sites, wikis, bug trackers, and source repos with the ASF. Even if you're just working with a single project, it's easy to get lost. If you start working with more than one, you may feel doomed to being overwhelmed. Fear not! In this presentation we'll walk through the various key places to look within Apache for content on topics such as projects, people, code, and conversations. How to make sense out of the stuff and ultimately find what you need to do what you came to do. Apache OpenMeetings is the open source solution to organize appointments, meetings, presentations and online classes. In this presentation Maxim Solodovnik will show how OpenMeetings can be used to solve various every-day communication tasks. What is the current status status of the project and what are the future plans. Apache Tamaya is a new poddling, which has been started recently. It brings together the leading key people from the Java EE area to further evolve the configuration concern with the target to establish a configuration standard in mid term. Tamaya allows to easily combine configuration of different sources and formats providing a unified API with several customization options. Beside using it as an enterprise configuration API Tamaya can also be embedded as optional extension in any projects, enabling smooth integration into any concrete enterprise context, This explictly includes remote locations so your product gets immedeatly cloud ready. This presentation will give insights into the main concepts of Tamaya and will show how you can leverage your framework with Tamaya to support easy and transparent integration with any target environment. OSGi offers an excellent service discovery mechanism, but it is limited to services inside the JVM. With Docker nowadays it is trivially easy to deploy all kind of (micro) services, using pretty much any technology stack, so we’d like to discover those as easily as the ones inside the JVM. We will have a look at how we can use the Docker API to discover services in other containers, and how we can use Consul to expand service discovery to other hosts. The current 'out of the box' user experience (UX) for Apache OFBiz does very little to promote its adoption. This is because managing the user experience is not something that tends to be included as a project priority because it is expected that it will be tailored as part of each customer implementation. This presentation will talk through the advantages of an intuitive interface using best practice UX design. We will also show that a well thought out user interface is just as important as an efficient engine or framework. We will go through the main ergonomic problems of the current standard OFBiz interface and present an alternative example using practical UX design. Using forensic style techniques to look into an existing code base (Apache Flex) and it's version control history we'll try and uncover where future bugs may lie and gain other other insights into it's code quality. Topics covered include hot spot analysis from version control history, various forms of simple but accurate complexity analysis, how to detect hidden temporal coupling, mapping your code's architecture, generating interactive knowledge maps and looking at code churn and what that means. Examples and visualisation of the analysis with be provided along the way. The tools and techniques described in this talk are applicable to a wide range of projects and languages and anyone coming to this talk should be able to apply the same techniques to their code base and version control history with little effort and find something interesting about it. The Java EE architecture provides the necessary enablement but most developers do not have the time or the training to take full advantage of what it has to offer. This technical session describes and demos an end-to-end application security architecture for an Apache Wicket Web app running in Tomcat. It includes practical, hands-on guidance to properly implementing authentication, authorization, and confidentiality controls using Java EE, Spring and Apache Directory Fortress. In addition to finding out where the security controls must be placed and why, attendees will be provided with code they can use to kick-start their own highly secure Java web applications using Apache products and a few tricks. Why participate in the key signing? Among other things, all Apache releases are PGP-signed; but a key with no signatures attesting to its own authenticity isn't very useful. Bring your key (which you will have emailed to our special address) and sign. You will need a pen, and some manner of identification. The Apache Way tells us that we need to try and run our projects using consensus as much of possible – but what does it actually mean to the man or woman on the ground? Ask 5 different people what they understand by consensus you will probably get 5 different answers but that doesn't mean that we haven't achieved it. In this presentation Sharan will talk about about how becoming part of an Apache project has educated her about the role and use of consensus, and that applying it in real life can be a bit more challenging than the theory. HTTP/2 is the new version of the Internet's most used protocol and is being deployed widely on the Internet today. Daniel makes a recap of the core pieces of the protocol as well as look at current deployment status. The introduction of ALPN in TLS helps make painless HTTP/2 upgrades and is another helper to push us further toward HTTPS everywhere. A primary driver for upgrading is how HTTP/2 improves end user experience as Daniel will explain and show with real-world numbers. Topping it all off, Daniel shows how the univeral HTTP tool curl (and libcurl) speaks HTTP/2 and how it can help you debug, test and develop HTTP/2 services. Internet protocol geek at Mozilla and lead developer of curl. Introduced in the late 2000’s, Apache Cordova solved a major problem developers faced with maintaining separate code bases for different platforms their products supported - iOS, Android, Windows, etc. Today’s version of Apache Cordova now supports 15 platforms for mobile, web, desktops and television, empowering developers to use the same codebase to to many native environments with experiences so refined users have a hard time telling them apart. In this session, attendees will learn about the Apache Cordova project, its benefits and proper usage, as well as how to start developing apps today using it. In no time at all, applications that once lived on one or two platforms can quickly be ported to numerous other platforms, making a big impact on a business’ bottom line without a significant development burden. A quick look at some Agile testing tools, libraries and techniques for Unit and BDD style testing. The goal is to show how an open source scripting language such as Groovy can be useful for your testing but many of the ideas are applicable to any language and toolset. The Apache Project Maturity Model ( http://s.apache.org/maturity-model ) was written to help explain how Apache projects work, in a modular way that allows it to be adopted partially by projects who operate outside of Apache. Will that model help save your fledgling project, or is that just a set of boring rules? Describing the reasoning behind the model's items, with concrete examples from successful Apache projects, will help us find out and apply the model to our own projects in a helpful way. The Apache Sling project has built a number of testing tools which aid in testing applications that are built on top of this framework - REST-based, assembled using OSGi and backed by JCR. We will review how those testing tools fit in with domain-agnostic testing tools such as JUnit and Mockito and what the benefits and pitfalls are when building your own domain-specific tools. Similar techniques apply to projects not using the same technology stack, so the discussion will bring value to all projects which can benefit from domain-specific testing tools. The HTTP/2 implementation module, mod_h2, has been donated to the ASF. It is expected to become part of an upcoming 2.4.x release and will shape core features in future 2.6/3.0 work. Attendees can expect a detailed look at the impact HTTP/2 has on the internal processing model of httpd and what this means for other modules/applications running inside the server. Server owners can expect to get an idea of what h2 adoption will mean for them in terms of resources/performance. And you, or your applications, how do you manage upgrades? Come and see how Apache Maven and its tooling (Animal Sniffer, Toolchains, ...) help you upgrade with confidence, at your own pace and without headaches. Access to the resources through REST API is required in many cases: creating public Web APIs, managing Cloud Platforms, building Microservices and integration of B2B applications. How to design your REST API in the most flexible and reliable way? What are the options to model objects relations and transactions? How to ensure security for your resources? In this presentation, Andrei will share practical experience to build REST services based on the Apache CXF. The main goals of this presentation are to share the best practices and discuss the most important aspects of designing and securing your REST APIs. The Apache Tomcat project is currently implementing HTTP/2. HTTP/2 places a number of requirements on the TLS implementation that can not be met by the current (Java 8) JSSE implementation. These include SNI and ALPN support. There are also some TLS features not required by HTTP/2 that would be very useful (e.g. the ability to have multiple certificates of different types for a single virtual host) that are not available with JSSE. Some, but not all of these shortfalls will be addressed in Java 9. Each requirement that cannot be meet with JSSE as provided by Java 8 will be explained along with the approach either adopted or planned to be adopted by the Apache Tomcat project to meet these requirements. This presentation is expected to be useful for anyone implementing, working with or interested in server side TLS. Scale changes everything. What once was quite adequate for enterprise messaging can't scale to support "Internet of Things". We need new protocols, patterns and architectures to support this new world. This session will start with basic introduction to the concept of Internet of Things. Next it will discuss general technical challenges involved with the concept and explain why it is becoming mainstream now. Now we're ready to start talking about solutions. We will introduce some messaging patterns (like telemetry and command/control) and protocols (such as MQTT and AMQP) used in these scenarios. Finally we will see how Apache ActiveMQ is gearing up for this race. We will show tips for horizontal and vertical scaling of the broker, related projects that can help with deployments and what the future development road map looks like. 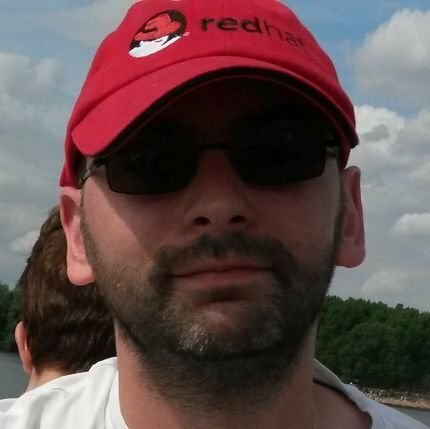 Dejan Bosanac is a senior software engineer at Red Hat with deep expertise in messaging and integration technologies. He is an active committer on the Apache ActiveMQ and related messaging and integration projects. This talk celebrates the awesome parts of the Groovy language and the Groovy ecosystem. You'll see some exciting examples of Groovy and it's application. Everything from domain specific languages, dynamic typing, the extensible static typing system, Android programming, concurrency, enterprise programming made productive, functional programming and a host of interesting frameworks and tools. Apache CXF is a framework for web services (WS) development. WildFly (formerly JBoss Application Server) is an application container implementing the latest JavaEE standards. Years ago, Apache CXF was chosen to build up WildFly' WS stack and provide the compliant functionalities while ensuring performances, management, etc. That kicked off a beneficial collaboration between the Apache CXF and JBoss communities; it also raised multiple issues and chances for improvements in Apache CXF due to different requirements, usage scenarios and goals. In this prsentation, Alessio Soldano will first explain how to contribute to an Apache project in a fully ethical and useful way while pursuing company goals. Then he will deep dive into the main CXF area that had to be revisited to accomodate WildFly needs and how that was achieved. Performance testing and applied enhancements will also be covered. Dealing with money in Groovy and Grails has so far pretty much looked like everywhere else on the JVM. A Grails Currency Plug-in exists, but has been inactive for 2 years. Thanks to JavaMoney-shelter, a sandbox or "sanctuary" for new ideas to be adopted around JSR 354, e.g. via Adopt-a-JSR this is about to change with JavaMoney Groovy plug-in. Now that JSR 354 is final, the Groovy team signalled interest to include some of it into Groovy itself. JSR 354, the Java standard for Money and Currency enhances the capabilities of Java handling monetary data. Based on best practices regarding currencies, monetary amounts, rounding, formatting and currency conversion. In this session we'll demonstrate JSR 354 support for Groovy and Grails. And how to use it in business applications or DSLs e.g. for currency conversion between HUF and other currencies. Simply 'loading' mod_ssl is not sufficient in the rapidly evolving encryption space. Smart organizations and business have changed their cipher suite, added ECDHE keys and stronger RSA keys to now default to forward secrecy operation. They have shifted from SSL session caches to session tickets to further attain perfect forward secrecy. And they are rolling out OCSP stapling services, they are dropping the SSLv3 Protocol and they are adopting TLS virtual hosting to solidify their deployments. Learn the out-of-the-box httpd mod_ssl facilities, and how to harden and enhance your web server deployments. This session will describe an IoT system that was built to track the whereabouts of attendees at a developer conference earlier this year. The system was built using off-the-shelf commodity hardware, open source software and open, standard protocols. Apache ActiveMQ, Qpid and Spark Streaming were key components in the solution. Note this session will be 25 mins in duration. Composite Oriented Programming (COP) was a term coined in the Qi4j project in 2007. It is defining a whole new paradigm of how software is written, where INTENT is expressed and enforced by execution environment, helping developers to be disciplinary and in return improving efficiency and clarity. COP allows composition of Fragments into Composites, where Fragments are more cohesive than classes, allowing better encapsulation of different roles within an object. Qi4j joined the Apache Software Foundation in 2015, as the Apache Zest project, where it lives as the reference implementation of COP using regular Java to achieve it. In this hands-on presentation, Niclas will make a brief introduction to COP concepts, then proceed to how to work with Zest Qi4j to compose an application, and integrating it with the Restlet framework. Classes are Dead = Long Live Interfaces. Apache Kerby is an implementation of Kerberos server protocol and also consists of a client and associated utilities. Project Fauxton is the UI to CouchDB, it provides a graphical user interface for control to a NoSQL database system. Michelle will be presenting the current state of Project Fauxton as an active committer. She is passionate about design and UX, and has worked alongside designers and engineers for 4 years. For this presentation she will be speaking about what the CouchDB community is trying to achieve with Project Fauxton, and what her ambitions for the project are going forward in the future, as an engineer who is also proponent of design. The new HTTP/2 protocol and the corresponding TLS/SSL are common to Traffic Server, HTTP Server and Tomcat. The presentation will shortly explain the new protocol and the ALPN extensions and look to the state of the those in our 3 servers and show the common parts and the specifics of each servers. A demo configuration of each server will be run. This talk will demonstrate what Apache Camel is doing in my house, and how it makes a perfect combination with Tinkerforge hardware. From preventing the door bell from ringing in the middle of the night, to collecting indoor climate data and switching lights based on movement and ambient lighting conditions, to creating a nice ambiance by mixing colors on an RGB LED matrix. Apache Camel is a very powerful integration tool, and has a solid 8 year history in which the total number of ready-to-go endpoints has reached a stunning 180! It also scales very well from a simple hello world example printing messages in a log, to large scale enterprise deployments using message brokers, load balancers and fail-over. In this session you will learn how Apache Camel can be used in your home environment, but also how this can be extended to a corporate environment. One of the most exciting opportunities for Docker is its role in production. Apache Brooklyn and Clocker, an Apache Licensed application for Brooklyn, are designed to help with this. We wanted to make it easy to deploy the same application across a range of environments, from local testing to shared user acceptance and staging, and on to production. Brooklyn uses YAML blueprints to describe applications, including affinity/anti-affinity and policies for scaling or resilience. Clocker allows easy colonisation of cloud environments with a pool of Docker instances, compatible with Swarm and Compose. SDN support from both Weave and Project Calico is included, ready for multi-host, complex application deployments. We show how to use these tools to design a blueprint for your application, test it using an Apache Maven plugin and deploy it to a managed Docker infrastructure. Struts2 is a Java framework to build Java Web Applications which is stable and active developed and maintained since years. Struts2 is a really flexible MVC framework which can be extendend by plugins like for a jQuery, jQuery UI, Bootstrap integration, REST actions, JSON results and many more. AngularJS is a modern MVC front-end framework created and maintained by Google. Both together is a great way to build stable web applications. Struts2 can be used for back-end actions as JSON provider, for file-uploads, streaming actions, text provider and more. AngularJS is one of the most used front-end frameworks with good tutorials and documentation. This talk will give a short introduction about how to start with both frameworks and how they play well together. Software Developer at Software Developer in Leipzig and Apache Member and Apache Struts PMC. Heard about Apache Brooklyn, looked at it or maybe even tried it out? If you want to know a bit more than the usual list of features and flashy demos, then come along to this talk. In the spirit of the O'Reilly "Hacks" series of books, Richard Downer will go beyond the headline features and find those which are interesting, unusual, possibly surprising, and maybe even weird! In Tomcat-native and Tomcat9 it is now possible to use the NIO and NIO2 connectors with OpenSSL and have a a full support of HTTP/2 with TLS/SSL. JSSE is known to have poor performances compared with OpenSSL additionally ALPN required by HTTP/2 won't be in the JVM before java9. The goal of the new connector is to get ride of the old APR connector and use the NIO or NIO2 one and still have the performances of OpenSSL. Additionally the tc-native can be used in other java web server for example undertow, the presentation will explain how and demo it quickly. The presentation will explain the new code and the corresponding configuration and show the performance improvements: With the new piece of code Tomcat with the NIO or NIO2 connector gives even a better throughput than with the old APR connector! Container technology are being evaluated by software developers and administrators with a great deal of interest. Developers want to focus on what they do best: Creating and coding new applications. That shouldn't have to change just because they need to deploy an application to a different environment. Administrators want the environment to stay reliable and stable, keeping changes at a minimum. By following a strategy that embraces good Architecture, use of Containers, DevOps philosophy, Apache Mesos and a Cloud based environment, developers and operators can create, consume and collaborate on the infrastructure configuration over the time, deploy Java EE applications and test your application infrastructure consistently regardless of the stage of the development life cycle. Tens of contributors have worked hand in hand to implement a valuable set of tools which benefit the community of developpers and users at large. With hundred of thousands of downloads of ApacheDS since its first release, and more than a million of Studio downloads, the Apache Directory project has become an important player in this area. This presentation will expose the story of this project, its current status and the future as we can foresee it.